Cub Campers - Newcastle Camper Trailers - for all your camping needs. No matter what direction you're heading, stop here FIRST! 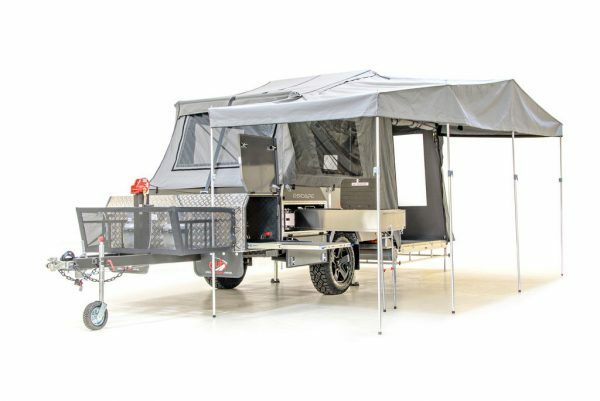 Cub Campers is a three-time winner of the NSW Manufacturer of the Year award at the Caravan and Camping Industry Association Award Excellence. Built on a tough-as-nails chassis of 100% Aussie Bluescope steel, and featuring hard-wearing Australian Made canvas, a Cub Camper is built to last. Cub is also famous for its ezy-wind system which ensures a lightning quick-setup. Another advantage Cub has over its competitors is its fantastic resale value. A Cub camper is designed to travel low, which minimizes wind drag and greatly assists with fuel economy. All Cub campers are built onsite at our 3 acre factory premises in Sydney using quality Australian products including Australian steel and Australian canvas. We have invested heavily in research and development and state of the art machinery to ensure our product continues to evolve. Cub is very proud to be a member of the “Australian Manufactured Camper Trailer Guild”. 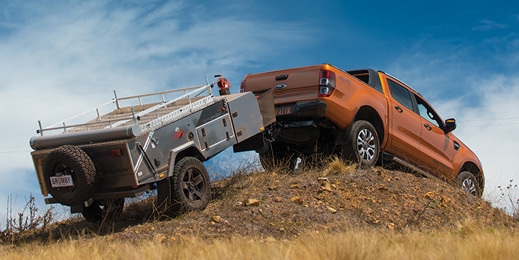 To be a member of the Guild, camper trailer manufacturers have to prove by independent audit that the chassis, body, suspension and tent are Australian made as per the ACCC definition. 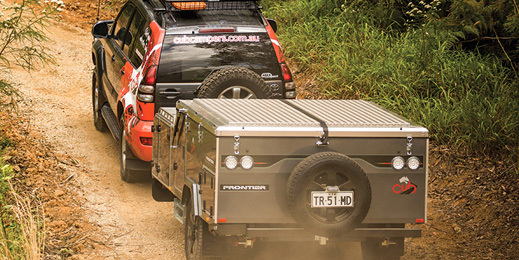 Our 2.2M Series Cub camper trailer was made for big adventures. Extending to just over 4.4 m (14.4 ft) when fully open, this model has a spacious interior of 16 sqm when the deluxe awning is added. Quick and easy set up within minutes means you’ll spend more time enjoying your journey and less time preparing for it; and the amazing features of this series don’t stop there. Our 2.2 series is ideal for couples and singles and comes with more standard inclusive features than ever before. Welcome to the 2.6M Series of campers, built Cub tough for families on the rugged road to adventure! Whether you go for the Cub Traveller or Escape model, these rear-fold campers are 30% more spacious internally and externally than its competitors. With an impressive 17ft when fully extended giving you a huge 22.1sqm of living space – with the deluxe awning add-on. The 2.6M series is another example of hand-made Cub quality that’s made to fit the needs of our customers. The biggest camper that Cub has to offer, the hard floor 3.2M Longreach extends to 21ft for a spacious 25.4msq internal living space. The latest Longreach pays homage to what we’re known best for, our Cub quality, with innovative and practical design features, we made the Longreach for family travels across Australia’s gnarly terrain. In size alone, the Longreach gives you the same space you’d expect to find out of a caravan but at a much more friendly 1150kg Tare, for easier towing. And since it’s a Cub, it’s off-road ready. 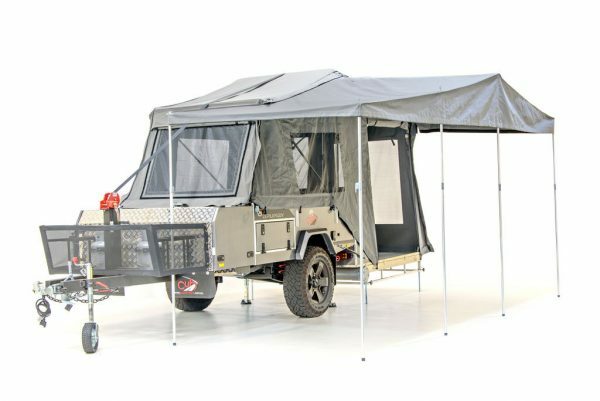 Meet the re-imagined forward fold Cub Frontier, the perfect union between an off-roading camper but with the feel of a luxury caravan. Our forward fold Cub Frontier (3.68m) is the only fully Australian-made forward fold on the market. When fully open, the Frontier has an impressive wingspan of 18ft, giving you an additional 22.5sqm of outdoor living space – once you tack on the awning. We’ve designed the Frontier with you in mind. So even when you’re out in the bush, the Frontier is more than just a camper, we hope that you’ll see it as your home away from home. NB: Please call if a long weekend as we may be away using one of our campers.